The key drivers for data management in financial services include legal and regulatory obligations, digital transformation, and customer demand for digital services that can be accessed from anywhere and at any time of day whenever they need them. Customers therefore want to access their financial services accounts – including banking – from any device they choose too, including from their smartphones. This creates an imperative to step up to the challenge by creating new digital products and services that can be rolled out faster than ever before to achieve and maintain competitiveness. With the new opportunities, as McMullan points out, there are likely to be some significant risks and costs involved to invest in big data analytics and good data management practices. However, the opportunity to create value from your data outweighs the risks. After all the biggest risk is to carry on regardless without investing in data, reliable network infrastructure solutions, and efficient big data analytics. To do this could lead to your company’s demise. That just can’t be worth it, and in business to turn something into an invaluable asset you have no choice but to invest in it. You’ve got to spend money in order to make money, and if it’s done wisely your organisation will succeed. With data volumes ever increasing this challenge is going to become harder without the help of artificial intelligence and machine learning. They can be used to help you to extract value from your organisation’s big data in ways that human beings can’t do, and they can be used to for data acceleration purposes. The latter is a prerequisite if your financial services firm relies upon real-time data insight. The devil that can get in the way is data and network latency, which can deteriorate the accuracy of any data analysis you need to undertake to improve your decision-making and strategies. “Data, and its application, is driving innovation across the sector, permeating areas such as trading, banking and insurance, creating a pivotal advantage for CIOs that embrace its potential”, he says. He then reminds us that while in the past companies analyse historic data, today data has to quite often be analysed instantly. That’s important because with time data loses its value, and so big data analytics is required to make sense of it as it comes in for analysis. Fortunately, cloud is enabling CIOs to keep their technology investments updated. This is helping them to adapt to changing business needs, but even cloud technology is susceptible to data and network latency. They need to be tackled too. With fast-flowing and accurate data your financial services organisation can achieve an information advantage. McMullan explains: “Leading financial services institutions are already exploring new ways to develop insights across customers and markets, seeking an information advantage from data that is increasingly easier to access, manage and understand.” In many ways is it easier to collect data from the widening array of sources, but growing volumes are in fact making it harder to manage. The number of different data sources will continue to grow too: mobile, web, and even from connected vehicles because the car of the future won’t just be a car. It’ll be an m-commerce platform in the same way that it’s possible to buy applications, goods and services through our smartphones, tablets and PCs today. This includes the provision of access to financial services, such as banking and insurance. McMullan is nevertheless right to say that financial services CIOs are “under immense pressure to deliver more business value at reduced costs”. Increasing the pressure is the need to ensure high performance, high availability and high levels of innovation in an industry that is being challenged by non-traditional financial services operators such as technology firms who’ve entered the market. To ensure high data performance, to protect the accuracy of your big data analysis, and to prevent any downtime from occurring it’d be wise to invest in a data acceleration solution – such as PORTrockIT. This mitigates data and network latency with machine learning. As a data acceleration solution it enables fast data back-up and restore as well as faster and more accurate big data analysis. Even encrypted data can be handled, which can’t be said of traditional WAN optimisation. With a data acceleration solution like this there isn’t a need to invest in new network infrastructure. Much can be achieved with what your organisation already has, and your disaster recovery sites can be located far, far apart from each other. In contrast WAN optimisation doesn’t sufficiently deal with data and network latency, requiring data centres and disaster recovery sites to be situated close to each other – often within the same circles of disruption. 1. Ensure that you are compliant to all of the required regulations – including the General Data Protection Regulations, which come into force quite soon. This will create value from engendering customer confidence in how you handle their data. 2. Deploy data acceleration solutions that are supported by machine learning and artificial intelligence because the growth of big data volumes could mean that you’ll otherwise miss the big picture and not be able to gain and handle the insights and opportunities it offers you. These solutions mitigate the effects of data and network latency far better than WAN optimisation does. They, for example, work well with encrypted data. 3. While in some cases new infrastructure may be needed, with the right data acceleration solution there should be no need to replace your existing infrastructure. Remember that increasing your bandwidth won’t necessarily mitigate data and network latency sufficiently, but with a data acceleration solution you can achieve more accurate and faster data analysis. 4. Think of your data as your most invaluable asset, and back it up regularly to ensure that when a problem arises you can maintain business and service continuity. 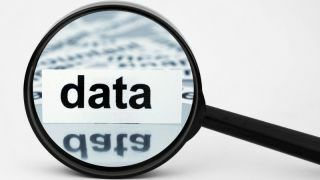 Without data many businesses would simply not be able to operate, and without the ability to analyse big data your competitors could jump a step ahead of you. So invest in good data management. 5. Remember that with efficient data management and resilient networks, the opportunity is there to do more with less and in less time. As well as cutting costs you’ll be able to make better strategic decisions that’ll help you to offer innovative digital products and services. With a faster and more resilient network you’ll also be able to achieve and maintain a competitive advantage through the development of a good and robust reputation. Financial services organisations are under increasing pressure to compete with new entrants to their markets – whether they be in banking, insurance or in other areas of financial services. They therefore need to find ways to keep a step ahead of their traditional and new competitors. One way to achieve this is to turn big data, big data analytics and data management as a whole into the most invaluable assets that your organisation has. This value has to come from finding and creating value from the data – not just by looking at historical data. The here and now is crucial today for generating it, and to achieve this financial services organisations should invest in data acceleration solutions to stay ahead of your competitors while increasing the accuracy of your data at speed with increased veracity.